Have you ever been walking through a supermarket or an up-market boutiqu e and, without realising, started grooving along to the song blasting through the speakers? 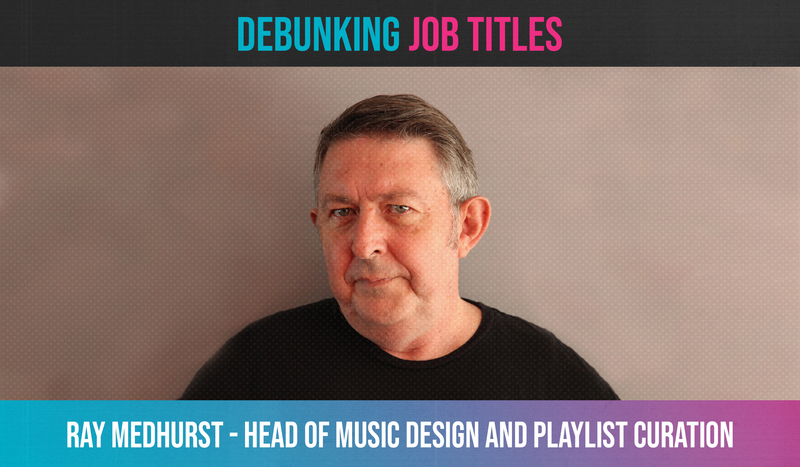 Chances are youâre enjoying the work of someone like Ray Medhurst, head of music design and playlist curation at Mood Media. Ray has the dream gig of listening to music all day and putting together the perfect playlists to match specific brands. Itâs a lot more than just slapping together a good times mixtape, though. Everything has to be taken into account including removing certain lyrics and depressing themes to having the ideal pace to encourage shoppers to spend the ideal length of time in-store, through to selecting styles that align with a brand. How does your mum describe what you do? She thinks that I put m usic into shops and shopping centres â" which is certainly part of my role. But seriously, what does a day in the life of the head of music design and playlist curation look like? It changes daily. My job is to choose the right music and design and curate playlists. They could be for a shop, work-space, cafe, restaurant, bar or hotel. So usually my day starts with going through emails to see what the latest releases are that we have been sent from record labels and promoters. Then when Iâm working on a particular playlist I am searching for songs appropriate to the brand that Iâm working for and generally listening to a lot of music. Not only do I need to weed out inappropriate songs (strong language, depressing themes, innuendo or rude cultural references) but I am selecting music that will set a mood and make a memorable experience. Every track on a playlist is thoroughly reviewed, and an incredible amount of thought and insight goes into this ma rketing tool. Wednesday mornings are usually devoted to going through the latest releases and deciding which tracks we can use and where they will end up. Whatâs is one thing about your job that is really obvious to you, but other people may not know? People think that I just get to listen to music that I like all day, but I actually have to listen to a lot of music that I donât necessarily like as a personal preference. Whatâs the most important skill to have in your job? Objectivity â" even though I donât like a track, it can be appropriate for a brandâs playlist. So much new music and so little time! Working with a great team of curators and getting to hear all of the latest releases and discovering new and developing artists â" and being able to add them to a playlist. Occasionally the artists send messages of th anks via social media, which are always happily received. What do you think is the biggest industry misconception about being a music designer and playlist curator? Probably that a lot of what we do is considered to be background or âelevator musicâ when in fact is that what we do is about enhancing the customer experience through sensory branding. Try not to make enemies â" the music industry is very small and you are likely to have to work with people again. Be curious â" listen to music outside of your comfort zone and try and work out why people like the music that you donât necessarily like. Finally â" when you look back at your career, what do you hope to have achieved? To have given people an unexpectedly good listening experience or lifted someoneâ s mood while they were out, and also to have helped expose new talent to new audiences. Do you have a cool job with a confusing title or know someone who does? Send us an email about a job title youâd like debunked!